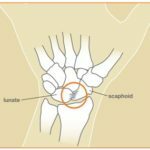 Have you broken your arm, elbow, wrist or hand? A hand therapist can provide an appropriate casting option depending on your injury. Casting materials include plaster of paris and synthetic/fibreglass. Once the swelling has settled, the plaster back slab is generally changed to a fibreglass cast. It comes in many colours and is lighter and stronger than plaster of paris. The fibreglass is water resistant, however the padding underneath can either be waterproof or non-waterproof. If you are fitted with a waterproof liner under your fibreglass cast, you will be able to get it wet in the shower and continue swimming. Your therapist can assess your injury and determine whether an X-Ray or other scan is required. It is essential that any cast is comfortable and well fitted. If it feels too tight and you notice increased pain, or the onset of pins and needles or numbness, you need to return for review with your hand therapist. Surgical review may be required if there are multiple fragments or any displacement of the fracture. Your therapist will be happy to discuss with you and your GP whether referral to a hand surgeon is appropriate. If you have any questions regarding a condition you have or to book an appointment, feel free to contact the Hand Therapy Group. We’d be more than happy to help.